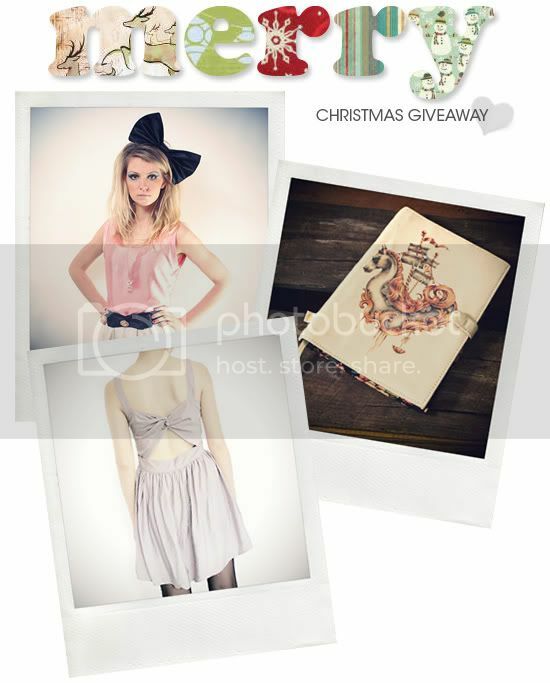 To say thank you to all the lovely Le Blog de Sushi followers and show some Christms spirit, here's a Christmas giveaway! Up for grabs are two prizes courtesy of Twin Cat Vintage and Element x Daydream Lily, and a bonus prize from Style Sofia. First up we have this sweet prize from Twin Cat Vintage, which includes a printed calico tote bag and a bow headband in your choice of red, leopard print or black, all packaged up in an adorable TCV gift box. Twin Cat Vintage are a Melbourne-based online store selling their own collection plus a range of great vintage clothing and accessories. Blogger Daydream Lily of Queensland recently collaborated with Element to create a collection of clothing and accessories inspired by the lady herself. 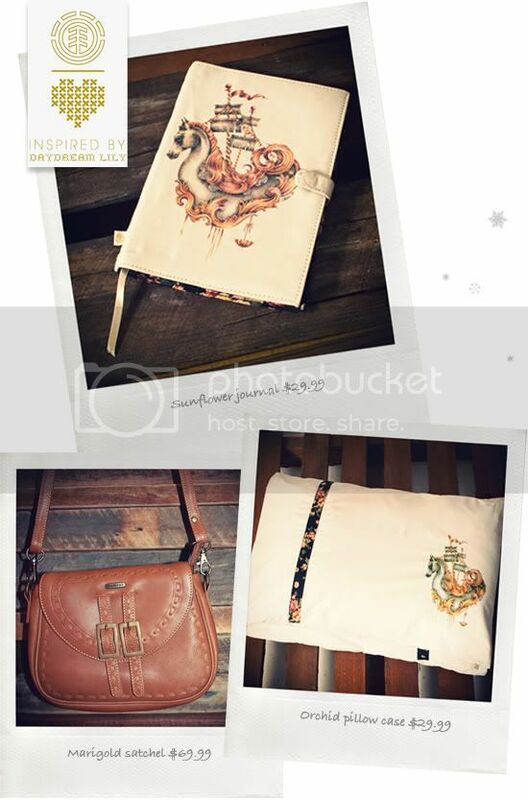 They are giving one lucky reader the chance to win three beautifully designed items from the collection: the sunflower journal, marigold satchel and orchid pillowcase. The team at Style Sofia are offering one reader their choice of the Luna b0w back dress, floral tulle top or rose scallop shorts. Style Sofia stock a large range of clothes and accessories at very affordable prices and offer free shipping with purchases over $75. To qualify for the Style Sofia bonus prize, comment on their facebook page and let them know which choice item you'd like to win. To enter the giveaway, simply leave a comment with your email address on this post! Remember to comment on the Style Sofia facebook page to qualify for the bonus prize. ♥ Entry is limited to one entry per person. ♥ Entrants must comment on the Style Sofia facebook page to qualify for the bonus prize. ♥ Giveaway closes Thursday 30th December and the three winners will be picked randomly. Good luck to everyone! Thanks again for your support this year and I wish you all a Merry Christmas and all the best for the new year. Oooh, yes! I am so in on this. Love that head-eating bow so much!!! off to the fb page now. MERRY CHRISTMAS! Oh my lord, these are divine! this giveaway is amazing! and oh so generous! count me in! i commented on stylesofia's page! Love the giveaway Sushi - Gorgeous stuff! Thank you so much for the giveaway!!! oh golly so many glorious things of beauty!! Would love to win anything here its all cute as a button!!! I have commented on the facebook page too! Hey i love the satchel bag! Also commented on sofia's page. I comented on the fb page. Thanks for the giveaway, it's lovely! Wow.. amazing giveaway! Totally love all the stuff! hope you will have a merry christmas and a happy new year, too. Great giveaway! The Daydream Lily things are especially delightful! Hope you have an amaaaaazing Christmas and a fantastic new year! Everything is so cute! Amazing giveaway Sushi, have a great Christmas Hun! oh, how lovely! all those adorable goodies! Merry Christmas to you as well! :D Thanks so much for the chance! great giveaway - loving the style sofia site. That journal is so perfect, along with the pillowcase! Also love the simple calico bag -and how Aussies seem to be so great at sporting them! Oh, I adore your blog, Dear! Winning any of these would be so awesome! I really like this blog. These give-aways are just perfect, would love to wear that dress! What a great giveaway, thank you for giving us this opportunity! I would love to win anything here!!! I commented on StyleSofias facebook! I love it!!!!! thanks you very much for the giveaway! Aah, this is the coolest giveaway ever! thanks so much! Total swoon. Lots of love from the Philippines! Happy holidays! Wow, such a great giveaway! Merry Christmas!! This is such a great giveaway. It would make my Christmas absolutely amazing :) I keep my fingers crossed! This is such a cute giveaway! I LOVE IT! what a great giveaway...thank you for the chance. What an exquisitely generous giveaway! Got my fingers crossed to win one of the three prizes! My email is visible in my Google profile. Thanks! Love all these items and your blog! Thanks! Wow, the journal looks supercute. Merry X-mas!! How lovely! I've always thought this was so sweet for bloggers to do for their readers. I left a comment on Style Sofia as Michelle Huynh. PS: Commented on the Style Sofia page! Please put my name in the hat! what an amazing giveaway :) everything looks so perfect! email: matchboxmuse@gmail.com. great giveaway! oh and have a merry christmas, Sushi! What beautiful prizes! :) Thanks for the giveaway! oh the Daydream Lily collection is lovely! Amazing giveaway, of course I'm in! o wow the best giveaway ever! I love sunflower journal so much! please let us know where we can buy this journal...thanks! LOVE all the items!!! <3 This is such a generous give away. the happiest of holidays to you too! Great giveaway! Commented on the Sofia Style page. Beautiful giveaways! They completely reflect your beautiful style. Such cute items! Merry Christmas. Thank you! Your givaways are always so great ^-^ I love everything! Thank you for such a wonderful giveaway. what a wonderful christmas giveaway! Oh wow, that looks so sweet and sleek and cute! :D I am also definitely checking them websites! Super cute giveaway, so awesome. Beyond lovely! That journal is beautiful x.
Daydream Lily stuff is beautiful! thanks for holding a giveaway! merry christmas! I am in love with your blog and this giveaway! Also, thanks for all the inspiration you have given me through this blog! 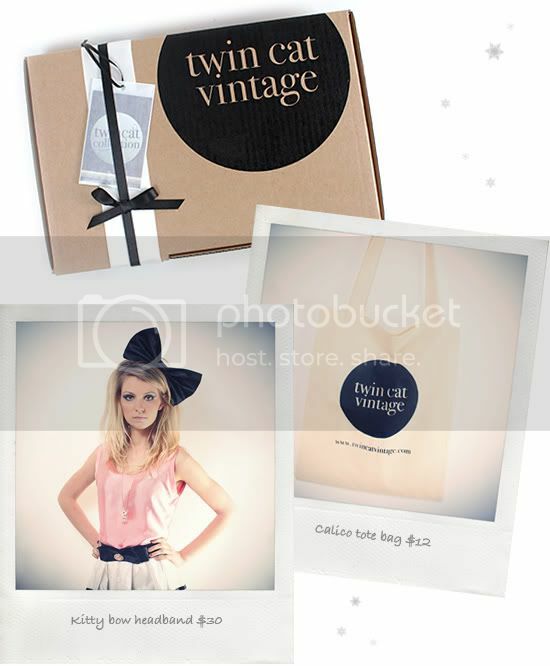 I'd love to win the Twin Cat Vintage prize! My email is chlschef@gmail.com. That Marigold Satchel bag is divine! Thanks for the generous giveaway! I love your blog and style! This giveaway has such beautiful items! and commented on stylesofia fb page! You guys are so adorable for giving such an amazing giveaway! thanks for the giveaway, so nice! Ooh, what an exciting giveaway & all the pieces match your blog aesthetic perfectly. awww Sushi you are too kind! these are amazing gifts, so generous! yay! that's one heck of a contest! I wish you the merriest of Christmases! Count me in! I love them all!